Soon, you'll be able to boost your gamerscore with Minesweeper, Solitaire and Mahjong. In the run up to the release of Windows 8, Microsoft will be updating a handful of the operating system's productivity-butchering inbuilt games, adding achievements in the process. According to Xbox360Achievements.org, Minesweeper, Solitaire and Mahjong are all going to become vastly more appealing to cheevo hunters. 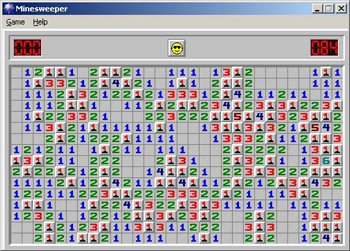 Minesweeper, re-branded as Windows Minesweeper, will sport four achievements. You unlock one completing a game, another for completing a game on each board size, a third for completing a game without using any flags and one for triggering a mine - which is kind of stretching the definition of "achievement," in my humble opinion. At this point, you might be tempted to make a joke about Microsoft slipping achievements into its office programs, but that's not quite as ludicrous as it sounds. Visual Studio 2012 already has some 48 achievements to keep coders motivated. This won't be the first time Microsoft has added achievements to its legendary time-wasters. Both Minesweeper and Solitaire are available on Windows 7 phones, and both come with a bundle of achievements.